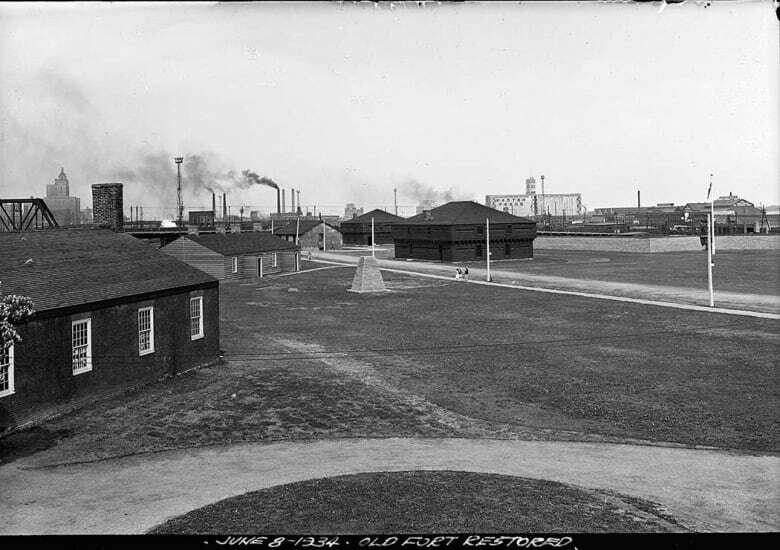 Jeanne Carter found an arrowhead at Fort York in Toronto 80 years ago. It sat on her coffee table until recently, when she discovered it was actually a priceless artifact thousands of years old. 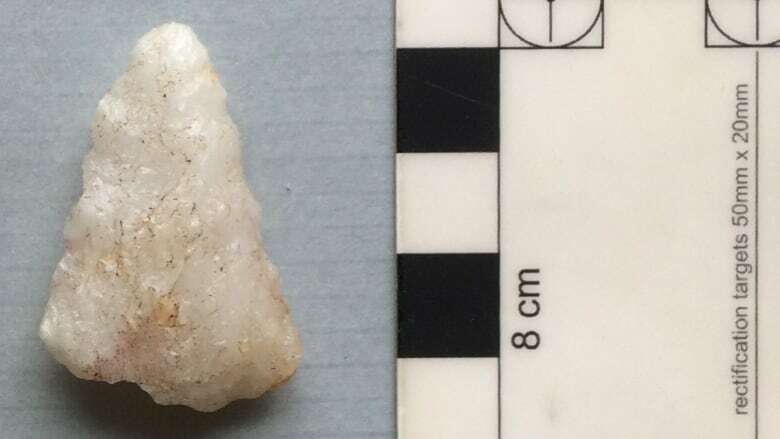 About 80 years ago, Jeanne Carter picked up a stone arrowhead during a visit to Fort York historic site in Toronto. Ever since then, it sat on her coffee table at home. All that time, she had no idea it was actually a priceless artifact dating back more than 4,000 years — until now. At some point, she offered the arrowhead to the City of Toronto's Museums and Heritage Department. 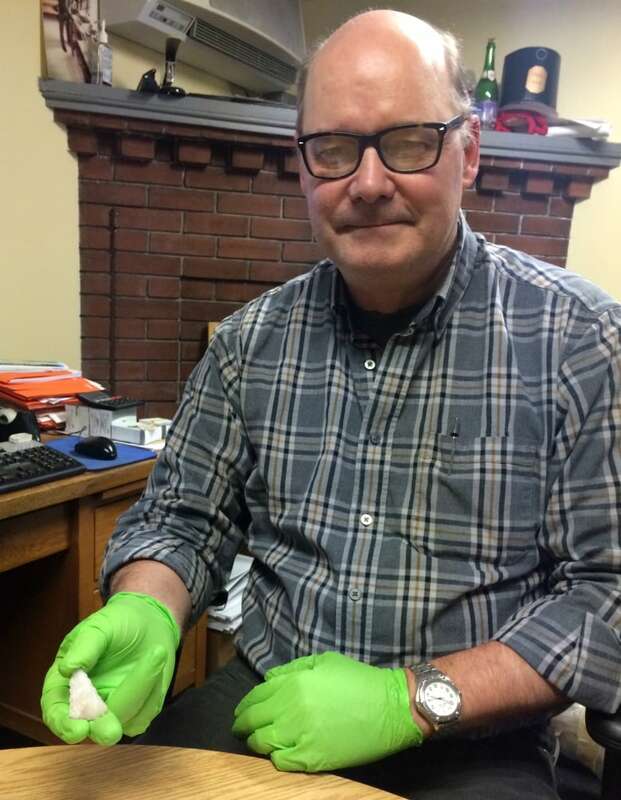 When the arrowhead came across historian and archaeologist Richard Gerrard's desk a couple months ago, he began to research its history. He believes the arrowhead traces back to the first Indigenous peoples in Toronto. As It Happens host Carol Off spoke with Gerrard about the arrowhead. The arrowhead will be displayed in The Vault, an exhibition in the museum at Fort York. (Richard Gerrard) Can you describe the arrowhead? It's made of quartzite, which is a white semi-crystalline stone. It is flaked all over. It is what you would think of as an arrowpoint except it's not the dull, grey colour that you think of flint being. It's creamy white. I'm told reliably that it's somewhere between 4,000 and 6,000 years old. How does that compare with other artifacts that you have in the city's collection? The city has a very large collection of things, but this is quite possibly the oldest thing we have. Can you tell us the story that it possibly would tell? Who might have made that arrowhead? It was probably made by someone who practiced hunting and gathering, lived in a small family group and was fairly nomadic. It's a bit of a puzzle because the quartzite is an odd material for this far south. You usually find it up on the Canadian Shield. So how it actually got down here is a bit of a mystery. Where and how did Jeanne Carter find it? The story she related to me is she went to public school here in Toronto and was taken on a school trip to Fort York probably in the late '30s. The Fort opened as a public museum in 1934 and she remembers walking along a gravel path and, as kids do, looked down and saw this white thing sitting there on the ground and picked it up and thought it was nice. Put it in her pocket. Took it home. Put it into a little mahogany box that she kept her treasures in and kept it in the box for a very long time. Do you have any idea how it managed to get to Fort York? No. That's the long and the short of it. We have found other prehistoric material on the site so it could have been traded down from the Canadian Shield to a group living down here. It could've been brought by someone. Because it is broken — it's broken at the base — I imagine it was used, missed its target, hit the ground and was lost because we've got nothing else quite like it — quite that old — off the site. So I think it's just an isolated find from someone passing through. The story of Jeanne Carter… she did have an eye for it and that didn't stop, her interest in finding things and artifacts. What relationship has she had with archeology? Jeanne's been involved with many things at the Royal Ontario Museum. She was one of the members of the Bishop White group that was associated with the Chinese collections ... There was an exhibition of jade burial suits in the 1970s and she was involved with bringing that show from China. So she's always had an eye for looking for these things, even as a kid? I think so and it's wonderful talking to her because she remembers so much. I just hope I'm that sharp when I'm that old. Where will you display this arrowhead that Jeanne Carter kept in a box on her table for all those years? A few years ago, we opened a new visitors centre at Fort York and we have a small gallery in there which we lovingly call The Vault, where we display interesting things with fascinating stories. I can see this ... going into that along with Jeanne's story — and its story — to try to explain that things really do have a long history and that it doesn't really end when they come into the museum. This interview has been edited for length and clarity. To hear the full interview with Richard Gerrard, listen in the player above.